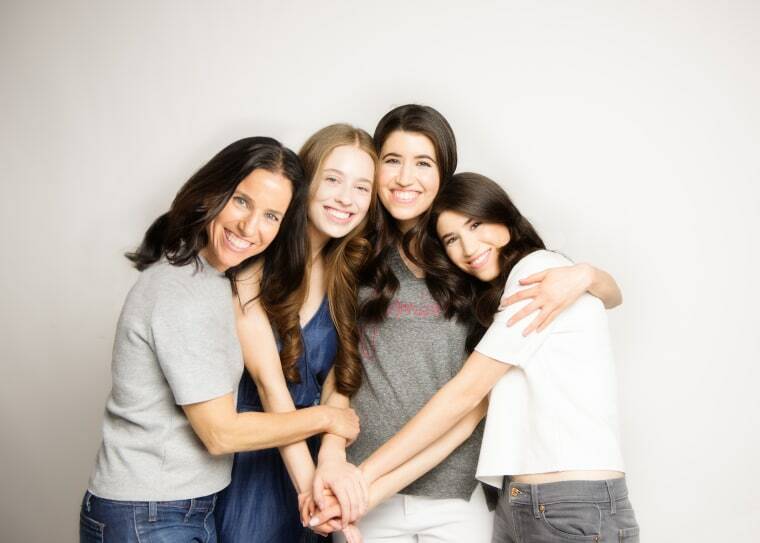 The founders of Womaze, a company run by four women in the same family between the ages of 17 and 52, shared how they make their family business work. Running a business is difficult enough. Throw family members into the mix and you have the recipe for a perfect storm. But it doesn’t have to be that way, according to the founders of Womaze, a self-empowerment app. After all, their Florida-based company is entirely run by four women in the same family between the ages of 17 and 52. Like many businesses, Womaze was born when members of the Wiser family least expected it. In 2016, twins Rebecca and Leah moved from their home in Boca Raton, Fla. to attend George Washington University. To keep in touch and get support from their family that was more than 1,000 miles away, the twins started a group chat over iMessage with their sister, Hannah, now 17, and mom Corin, 52. “We’d send each other videos of TED Talks, Oprah SuperSoul Sessions, articles on how to help with anxiety or how to focus on breath,” Rebecca Wiser, 21, said. “We had this family group chat that became a staple in our lives. One day we thought, ‘how can we get this into our generation and into the world?’” Rebecca recounted, noting a recent survey that suggested almost 50 percent of Generation Z (the youngest generation of adults) are lonely. After a lot of hard work, Womaze was born in April 2018. The app offers advice for women on many topics including body image, self-care, relationships and identity. It also features tips from guest curators like designer Rebecca Minkoff and LGBT rights activist Jazz Jennings. “We feel that we were put on this earth as a family to do this together, and that there are no better people to do this with,” Rebecca explained. “The passion that we share is something that can’t be matched.” While the four women don’t always agree on everything, they try not to lose sight of the fact that they all share the same passion and want to carve out similar pathways to success. The Wiser ladies work from home out of their Florida townhouse, where they all live. But they remind each other about the importance of creating boundaries. Every morning, the Womaze team meets to share their intentions for the day and the week. The women also write down a common goal, which “helps us to stay on the same page,” said Hannah. Open and frequent communication is also important. This helps the team stay mindful of family dynamics and ensure that personal matters don’t get in the way of business goals.